hd00:14Masts of sail vessel on blue sky background. 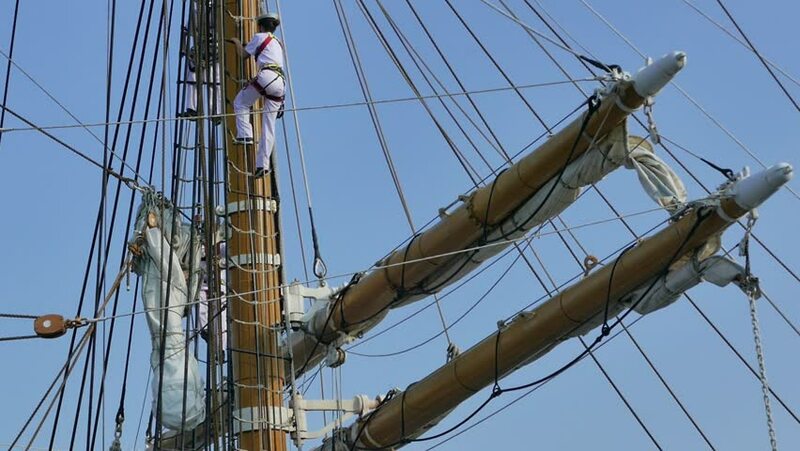 Rope ladder to the main mast of the ship. 4k00:29Time lapse of power pole from electric transmission network with blue sky and clouds. hd00:12Roosevelt Island Tramway & the Queensboro Bridge. New York City, United States of America.